Mr. Shapiro is advisor of Global Trust Group in the area of venture management. Jonathan is an entrepreneur and executive leader specializing in operations, building teams, and finance with 20 years’ experience in SaaS, software, investment, service, retail, and consumer product firms. Jonathan has been the President and/or CFO of 5 firms and managed 20+ portfolio firms. Mr. Shapiro was Co-Founder, President and CFO of Fragmob, a global mobile software platform and a Partner at the middle market private equity firm Ropart Asset Management. He also serves on the Board of Directors of Digital Traffic Systems and previously served on numerous boards. 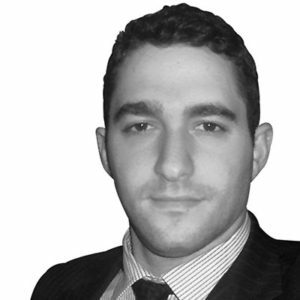 Jonathan worked for UBS Investment Bank, advising corporate clients in M&A and Consumer Products & Retail in both New York and London. Jonathan graduated from Rutgers College in 3 years with a BS in Computer Science and was a Phi Beta Kappa scholar. He holds dual MBAs from Columbia Business School and London Business School. Additionally, he received an MS in Accounting from the Lubin School of Business at Pace. Jonathan is a Chartered Financial Analyst and a licensed CPA. He enjoys hiking (Everest Base Camp, Machu Pichu, Mt Fuji), triathlons (70.3 and Olympic), and marathons (Philly, NYC) as well is a voracious reader. Top 50 Best WorkPlaces in US – Inc.